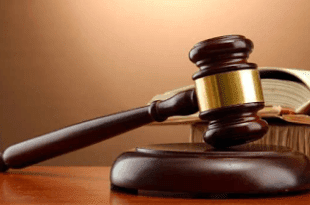 A pastor, Bernard Towoju, has said he cannot tolerate his wife’s ill nature and troubles alleging that his wife, Abosede, was in the habit of going naked to swear at him with her private part. On Wednesday, he approached an Igando Customary Court, Lagos, seeking the dissolution of their marriage of 25 years. “I cannot continue to make love with a woman who always swears for (at) me with her private part,” he said. According to him, Abosede ”is stubborn, wayward and troublesome.” “She once came to my office to fight me and tore my clothes in the presence of my colleagues. We fight on daily basis and hurt each other a lot. “We always land in the police station after our fight, in fact, we are regular customers at the station”, he said. The 53-year-old cleric also accused his wife of threatening his life. “My wife always hits me with dangerous weapons whenever we are fighting. I had to run away from the house I built with my money 10 years ago to rent an apartment for safety. “She chased me with cutlass, bottles and sticks; our neighbours can testify to that. I am afraid, I cannot sleep under the same roof with her with my two eyes closed”, he said. He begged the court to dissolve the marriage, as he was no longer interested in the relationship. In her defence, Abosede, however, accused her husband of calling her a witch. “He said everywhere he went for a solution to his problems they always told him that I am behind his predicament. “My hands are clean, I know nothing about his woes’’, said the wife. “Bernard abandoned me and the children 10 years ago, I have been taking care of the children,” the 36-year-old fashion designer added. The court’s president, Adegboyega Omilola, adjourned the case until October 31 for further hearing.